Email verification is often needed as a step in user registration. It plays the role of an identity check – to confirm that the person registering genuinely owns the email address given. If you run a site that uses email verification in its registration process like, say subscribing for my posts through e-mail, here’s a challenge for you: go and find out how many users successfully fill in the registration form but never complete the verification step. If it’s higher than a few percent, you should probably be worried. In fact, whatever the percentage is, you should be thinking hard about how you can bring it down – after all, any leakage is bad leakage. This isn’t a ‘normal’ conversion rate calculation we’re talking about here. Conversion rates, as they are normally defined, involve comparing the number of users who perform an action against the number of unique visitors (i.e. people who happen to hit the first page). Amongst these unique visitors, a large proportion of them are likely to never actually have been likely to convert (they were lost, having a look, or doing something else), which means you naturally get a large number of drop-outs. The difference in this scenario is that we can be sure that all of the users were dedicated to completing the task – after all, why else would they have bothered to complete the registration form? They’ve done the hard bit – surely all of them should have completed? Failure to complete the email verification step is sometimes caused by deliverability issues. However, it’s also entirely possible that the problem lies in your call-to-action design. 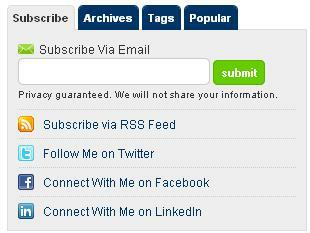 Here’s an example from techweez.com which uses feedburner for e-mail subscriptions. What the user needs at this point is a large, unmissable call-to-action such as “Check your email now“, with no other irrelevant content around it. Here’s how feedburner does it once you input your email address. It will use a captcha to avoid programs designed to spam your website and ensure you are human. 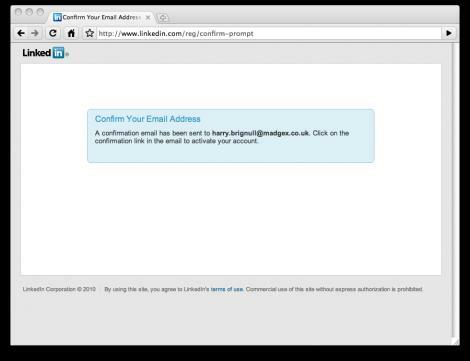 Once you have verified the e-mail subscription from inside your mail you will see a nice example of a clutter free page, with good message to ensure the point cannot be missed: Finally, one thing to remember is that email verification doesn’t always need to be a barrier to registration. Just because your competitors do it, doesn’t mean you have to copy them. Facebook, for example, don’t do it – they use a form of lazy registration so people can start using the site before they’re verified.